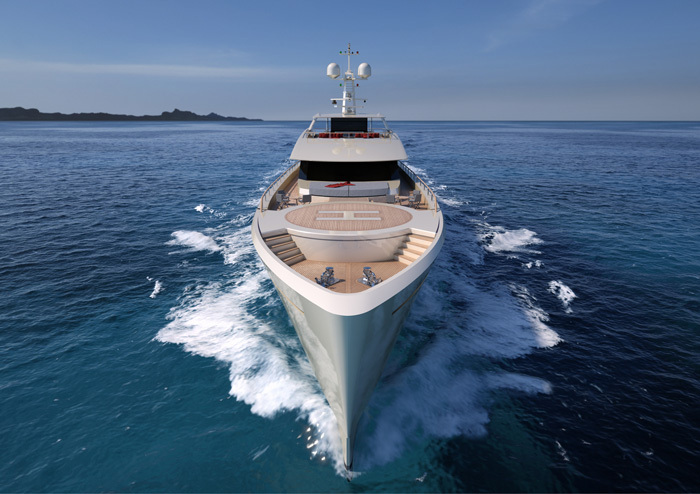 In occasion of the Dubai Boat Show Mondomarine will unveil the new 60 metres yacht, eveloped in collaboration with the Italian Designer Luca Vallebona and SF Yachts. 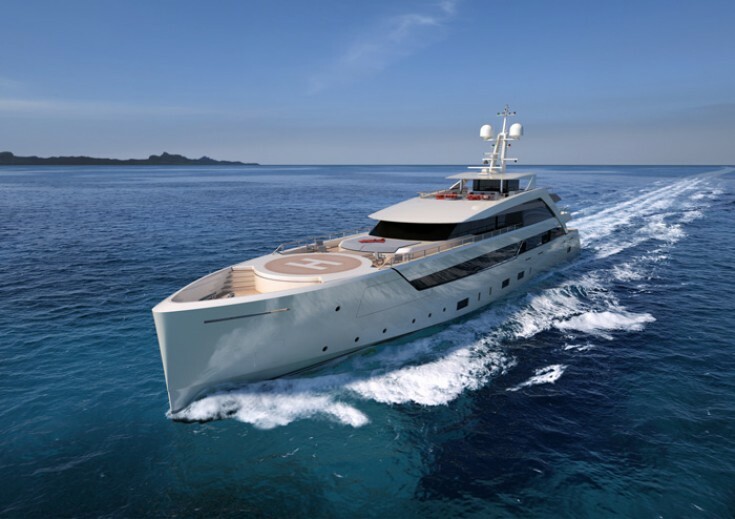 Likewise the other SF Line Mondomarine projects under development, the 60m provides a family feeling served with clean external and interior lines giving a non-conventional layout. 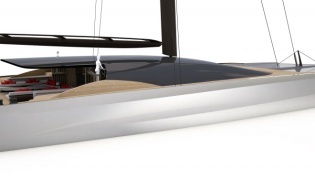 Its profile and its bow reveal together the feeling of the boat inside. The section of the boat is conceptually developed on a long visual diagonal that unites all the bridges together. From the extreme stern up to the highest bridge. The first part between the beach deck area and the main deck is characterized by a rounded sofa floating on a thin water floor and an inside staircase leading to the salon. The second part of this Line concept is taking place at the centre of the main salon leading to a staircase. Going towards the bow area through the main deck you will find another staircase and a Lift. There are six cabins in total; two on the lower deck, three on the main deck, and the owners’ cabin is located on the upper deck with its private access. The lower deck cabins are identical but the ones on the main deck have really their own character and personality with the feeling to be in a boutique Hotel. The owner’s cabin has been set up with the philosophy “going to embrace” full beam, with two balconies and two extendable "wings" where the wardrobes and the bath have been placed. On the forward section of the sundeck is the swimming pool with a very nice and comfortable sun bad area opening to an open salon & dining area. The sun deck offers as well a day head and a partially covered relaxing area to admire the beautiful panorama and sunset. On the upper/bridge deck is positioned the touch and go Helipad. On the under lower deck is located the garage for the tender(S) and a staircase giving access to all the areas dedicated to the crew and the captain. Entirely built in the historical shipyard Cantieri Navali Campanella, the Mondomarine yachts are Made in Italy from the first sketch to the last touches. The excellence of our Engineering division, the daily cooperation with our workforces and the constant striving for improvement made these masterpieces possible. Each project is for Mondomarine the opportunity to create a unique product. With SF60 we are proud to launch a new standard.